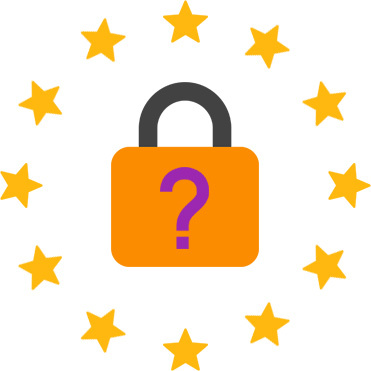 GDPR stands for General Data Protection Regulation and is a new comprehensive data protection law in the EU that replaces existing laws to strengthen the protection of personal data and the rights of the individual. It is a single set of rules, directly enforceable in each EU member state and here’s how Komeer can help you. If you hold any personal data of parents and/or children, they now have the right to know what data you hold about them and what you use their data for. 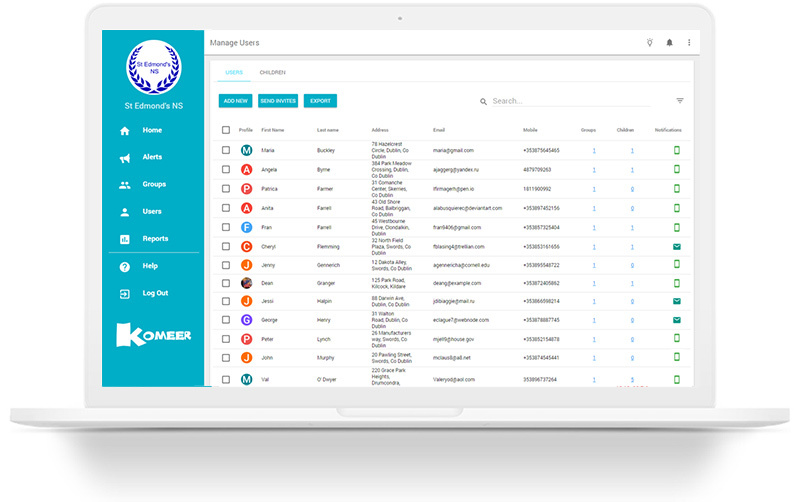 Komeer makes this very easy to do with simple and manageable data management and communication tools. Parents can ask at any time to see what data you hold belong to them. Simply select the user, click export and all data you have for this user will be exported into a CSV file. 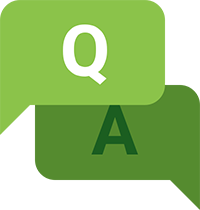 Information held in your account is the same information that users can access within the Komeer app. Any changes on the made updates automatically on both the dashboard and app. Many schools struggle to keep parents contact details up to date as they may change home address, email, phone numbers etc. 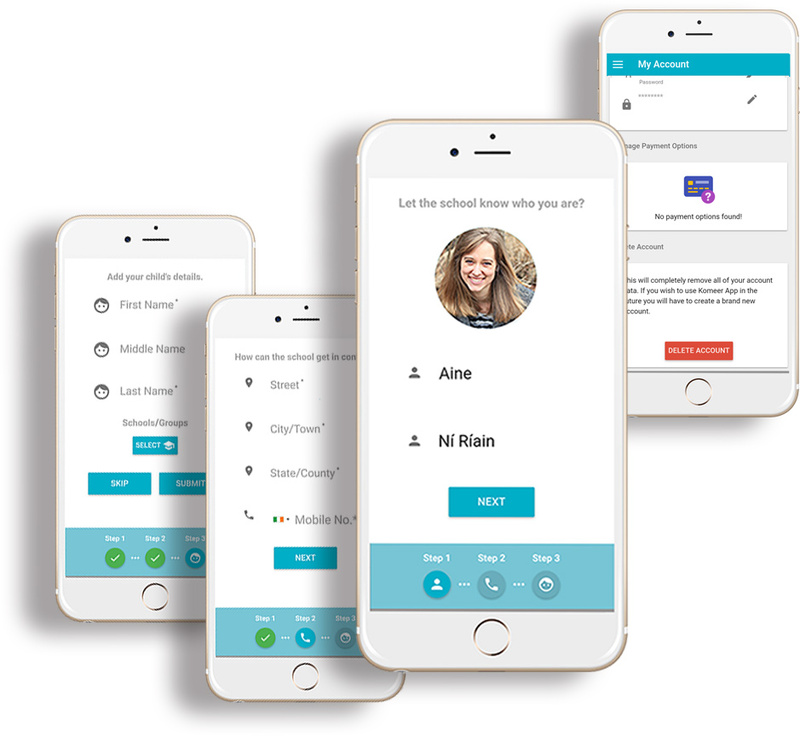 but by using the Komeer app, parents can edit their profile/contact details at any time. Any changes will be automatically updated into your Komeer dashboard account and saving you lots of valuable administration time manually updating contact details. Parents using the Komeer app have full control of their data and can access their data once they are logged into the app. 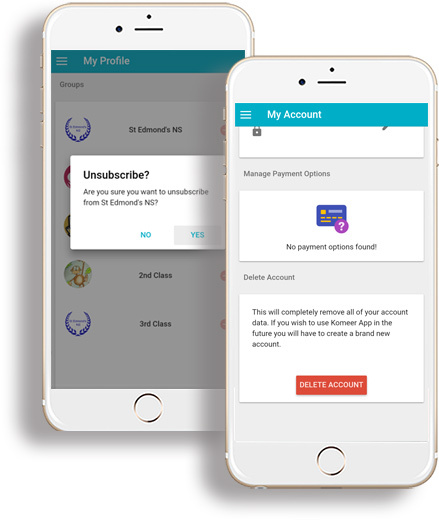 They can unsubscribe from any group or delete their account at any time if they wish and this will be automatically updated on your Komeer dashboard account saving you valuable time and money. Parents can be subscribed to multiple groups but they may not want to receive alerts from a certain group. 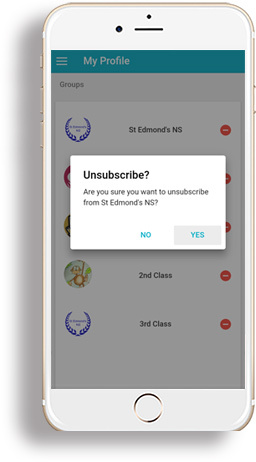 They can unsubscribe from any group at any time from within the Komeer app so they don’t have to contact your school to request to be removed from a group. This will save you a lot of time and responsibility. If parents are moving school and need their data imported into another school system, the exported CSV file for that user can be used in this case. Komeer makes this process hassle free. Parents can object to their data being used for any reason they feel appropriate or for what their information you gathered for and not used in that fashion. The app users have control of the groups they are assigned to and can unsubscribe at any time within the Komeer app. Komeer’s policies and terms and conditions are clearly set out to explain our controls and use of personal data for third party and restrictive access use. You can rest assured that no personal data will be used for unauthorised third party access and that personal data will never be used for third party automated decision making or profiling purposes.